The world is changing. Women can vote. Phones can talk. Cars can run on electricity. It’s a scary place. Who can blame you if you want to hide in your bedroom and never leave the house? If you do, at least you won’t get bored, thanks to video on-demand services such as Netflix, Prime Instant Video, iTunes, and blinkbox. Even Curzon Cinemas have their own on-demand thing now. The problem is: with thousands of movies and shows available to watch instantly, where do you start? Meet VODzilla.co, the UK’s first video on-demand magazine. From reviews of the latest VOD releases to interviews, news and a directory of what’s on where, you can find out what’s on Netflix and, more importantly, what’s good on Netflix. Then, after reading about it, we’ll take you there to watch it right away. And, for those times when you can’t make your mind up what to watch, we even have a random button to pick something for you. We’re your new home entertainment hub for the digital age. A hub that comes with a dinosaur. He’s called Vince. He likes to eat cars, people and, occasionally, DVDs. Welcome to VODzilla.co: because it’s a terrifying flipping place outside your front door. Want to write for VODzilla.co? We’re proud to pay our writers for their work. Get in touch with us via our Facebook page, tweet us @VODzillamag or stalk one of the fine people below. VODzilla.co does not accept sponsored posts or advertorials. The site is partly funded through affiliate marketing, but it is an independent publication. We take care not to let commercial relationships dictate the editorial stance of articles or the writing staff. 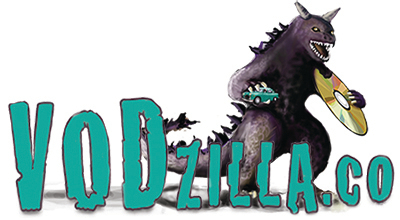 If you would like to advertise on VODzilla.co, please get in touch at advertising[AT]vodzilla.co.